Great Plains One-Call Service is a system used by excavators to identify and locate underground facilities prior to excavation to protect the facilities from damage. A notice to the service center is required prior to performing an excavation. 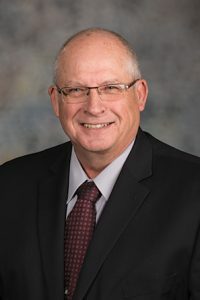 Among other provisions, LB462, introduced by Henderson Sen. Curt Friesen, would create a dispute resolution board to hear disputes between excavators and operators regarding damage to underground facilities caused by excavation. Friesen said the proposed process would be more efficient and cost effective than the current practice of filing complaints with the state attorney general. Upon completion of a hearing, the board would send its recommendation to the state fire marshal, who would issue a liability determination. Brad Wegner, representing the National Utility Contractors Association of Nebraska, spoke in support of the bill. He said resolving disputes currently can take as long as 18 months. The bill also would require all persons locating underground facilities to be licensed by the state fire marshal, who would be tasked with developing minimum training standards and issuing licenses. A locator license could be suspended or revoked for wrongdoing or a failure to act. Opposing the bill was Steve Preister, representing the United States Infrastructure Corporation. Most private companies already train their locators, he said, making state licensure unnecessary and an impediment to business. Kristen Gottschalk, representing the Nebraska Rural Electric Association, also opposed LB462. She suggested that companies with proprietary training programs be able to be certified with the state and avoid the additional level of licensure. The committee took no immediate action on the LB462.